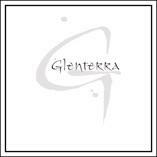 Glenterra Vineyards maintains 5 acres of sustainable dry farmed vineyards in the Cowichan Valley, additional grapes are purchased as needed from vineyards that use similarly responsible farming methods. Our sustainable farming practices include mechanical weed control under the vine row to create a mulch which supresses the weeds, creates organic matter and moisture as it breaks down. The use of beneficial insects and sticky tape for insect control. Extensive canopy management to create air flow through our vineyard, which greatly reduces mildew and botrytis pressure. No chemical herbicides, systemic fungicides or pesticides are used, only natural fertilizers with organic ingredients and our composted pomace for the vineyard.